Some of my friends can eat 50 chicken wings in one sitting! It’s a terrible truth. But now they know better and love cauliflower buffalo wings even more. Recipes like this always pop up around Superbowl time and seem to be increasing in popularity, which is great to see! It’s popping up in restaurants and trendy pubs all over the place. Try it for yourself and see what the hype around “meaty” cauliflower is all about! Did you know this recipe made a debut on Jenna Marbles and Julien Somolita‘s cooking show, J&J’s Kitchen? Read my post about it here! Check out the video below to see cauliflower wings made 3 ways. These cauliflower wings are one of hot for food's most popular recipes ever! This recipe is fool proof and you can even make other mouth watering flavors, too! Line baking sheet(s) with parchment paper and preheat your oven to 450°F. Wash and cut cauliflower head into bite sized pieces/florets. Mix all the ingredients (minus the vegan butter and hot sauce, this is added separately!) into a mixing bowl. The batter shouldn't be so thick that it doesn't drip, but also not so thin that it doesn't coat or stick to the cauliflower. If you're using rice flour, you may need to add a little more liquid to get the batter the right consistency. It tends to be slightly thicker. Dip each floret into the mixture and coat evenly. Tap off the excess a couple of times on the side of the bowl. Lay florets in an even layer on the parchment lined baking sheet without over crowding. The parchment paper or a silpat mat is essential in preventing the batter from coming off throughout baking! I've tried oiling the baking sheets and they tend to stick. You need parchment paper! Bake for 25 minutes until golden brown, flipping the florets over half way through to get all sides golden brown and crispy. If you go to flip the cauliflower and the batter is coming off, you need to bake longer on that side! While the cauliflower is baking, get your ranch dip and wing sauce ready. For the hot wing sauce, melt vegan butter in a small saucepan on low heat and mix in hot sauce. Remove from the heat just as it starts to melt. Stir together and set aside. If you're making salt and vinegar wings, melt the vegan butter and remove from the heat to stir in apple cider vinegar and water. You will sprinkle sea salt directly on the cauliflower wings after they've been coated with this sauce. Once the cauliflower is done its first bake in the batter, remove them from the oven and put all the baked florets into a mixing bowl with the wing sauce. Toss to coat evenly, or you can do this in smaller batches. Then spread all the florets coated in wing sauce out onto the same baking sheet. Bake in the oven for another 25 minutes, flipping the florets over half way through. Again, if you go to slip the pieces and the batter is coming off, bake for longer. Oven times and temperature vary from oven to oven! Also, gluten-free rice flour may vary bake time and everyone's oven is different. Watch the florets at both stages and adjust bake time accordingly! To make the ranch dip, whisk together all the ingredients until smooth and fold in the freshly chopped herbs. If you use a regular vegan mayonnaise without garlic in it already, then you might also want to add 1 teaspoon of garlic powder to the ranch dip. Alternatively (and this is how I prepare the ranch), you can blend together vegan mayonnaise, nondairy milk, apple cider vinegar, onion powder, garlic powder, sea salt and ground black pepper in a blender. Pour the dip into a jar or serving bowl and stir in the fresh herbs. Refrigerate before serving. hot tip: you can substitute half and half bbq and hot sauce or use 1 cup of just bbq sauce for bbq wings. I usually use a pre-made sauce, but if you want to make your own here is my recipe for a sweet and tangy bbq sauce. Made these tonight and here’s my full report. 1 – I’m totally in love with these ‘wings’ 2 – I will bake mine a smidge longer next time as some of my ‘wings’ were crispy and some had some mushy bits. Ate some of them with a fork – but these are baked, not deep fried so it’s to be expected to not be as crispy 3 – skipped the dip but will make it next time because these are f’n HOT! 4 – my husband and I ate the whole thing in about 10 minutes and didn’t speak to each other once 5 – overall, love love love and adding to my fave recipe book! Can someone please tell me this "earth balance" product is? Can it be purchased in Canada? Yes it is available in canada. Find it in organic and vegan section of grocery stores. Earth’s Balance is a butter substitute. earth balance is a vegan margarine. can be bought at most health food stores and big store grocery stores. how long does the ranch dressing keep? like, can I have it in my fridge for a while? it keeps approx. 7 days in the fridge… maybe 10! Yes, Earth Balance can be purchased in Canada. It is available at Planet Organic and Save-On Foods. I received the following when I enquired about their use of Palm Oil. "Thirty percent of our palm oil comes from sustainable palm oil plantations in Brazil. Our Brazil-sourced palm oil is 100% organic and is used in all of our organic products (and because orangutans are not native to South America, the Brazilian palm industry does not adversely impact their wellbeing). The remaining 70% of our palm oil comes from responsible sources in peninsular Malaysia, which are all members of the Roundtable for Sustainable Palm Oil (RSPO), the leading global organization developing and implementing global standards for sustainable palm oil production. We insist on continuing assurances from our suppliers that all palm fruit oil purchased for Earth Balance complies with the RSPO policies, and we are committed to terminating any suppliers that violate these policies." Both my son and I love this recipe from you guys! I make the hot for me and Honey Garlic for him!!! I’m making this tonight with my daughter! Great "wing" night tonight – especially with the bit of chill in the air. I’ve been put on a low cholesterol and low starch/carb diet and am lactose intolerant. How would this be for that? well this is a dairy free recipe so that’s something. And it’s free from animal fats which would eliminate your cholesterol issue. As far as carbs and starch, you can make the batter with whole wheat flour or a gluten free rice flour and it’s not much batter coating the cauliflower in general. I’m not a nutritionist or doctor but it is my belief that eating a strict vegan diet, with mostly whole plant foods would solve any health issue. These "wings" are considered a little bit of an indulgence though. If you want to be safe you could should show it to your doctor/nutritionist. Thanks for visiting!! What is the serving size for this recipe? How thick should this coating be because I have followed the recipe and it is quite thin? This recipe is exact if you follow all the instructions. We’ve made them so many times! But it should be dripping a little bit. If you coat the cauliflower florets then just let some of the excess drip off they should still be well coated as you put them on the baking sheet. There might even be a little bit pooling at the bottom but only a little bit. That batter bakes as well and just adds to the irregular shape of the nuggets. We are re-shooting these photos soon so check back to see the process! I made these buffalo wings for friends who are traditional wing eaters and they loved them. So did we! Sooo good. just tried them tonight – they were surprisingly satisfying! tried different sauces too, bbq was a good alternative. awesome! Ya we like doing at least 2 flavours. The hot tends to get a bit too hot for me anyway after a few "wings"! Thanks for checking us out! amazing! We have fed cauliflower wings to lots of meat eaters and everyone is always pleasantly surprised. It’s a great substitute for heavy, fatty chicken wings. If given the option we have noticed omnivores would totally go for the cauliflower over chicken! Where can you get the garlic aioli recommended in the ranch recipe? I used a homemade vegan mayo, and my ranch turned out green! The mayo I made was a bit runny so I suspect that was the issue. Any guidance is appreciated!! Yes I have updated the recipe saying that if you blend the ingredients you might end up with a green ranch dip because of the herbs. You could finely chop the herbs and stir them in afterward OR whisk everything together instead of blending. I have done it both ways so I apologize for the basic instructions. It’s been updated now, but I doubt it affected how delicious everything was right?! The wildwood mayo is available at select grocery stores and health food stores. We’re in Toronto and have found it but I believe it is an American brand. But using Follow Your Heart / Earth Island Veganaise is also a good option. You just might want to add garlic powder to the mix as well. We’ve also tried Just Mayo, available only in the US and it’s a great mayo to start with as well. Sorry to hear that! Honestly everyone who follows this recipe has nothing but rave reviews. Could you have missed a step in the instructions? Did you wait for the oven to get to the right temp? Did you do the batter first and then the hot sauce after? Did you change the flour? Rice flour and all-purpose or whole wheat works but we haven’t tried other types. Anyway hopefully there’s an explanation! Has anyone baked them without parchment paper? Would cooking spray on a baking pan work the same? I used wax paper today but had to stand next to the oven to make sure it wasn’t burning. I highly recommend buying parchment paper. It’s VERY useful in the kitchen, not just for these but also for baking. OR if you don’t want to be wasteful the washable silicone baking mats are another idea. Wax paper is risky especially at the high temp these need to be baked at and tin foil doesn’t work! Cooking spray on a baking sheet might work (I haven’t tried) but I think the batter might stick. What a waste of ingredients to make burnt saucy baked cauliflower. If I make these again I’ll reduce the oven heat to 375 or 400 while baking the ‘wing sauce’ into the florets. well every oven is different and if you follow a lot of recipes you would know that it’s something that needs to be adjusted sometimes. We have had no negative feedback on this recipe or the bake time. Sorry it didn’t work out for you! Love! Love! Love! So delicious and easy to make. The recipe worked perfectly for me. We made both the buffalo sandwich and extra wings. And everyone was very happy, my Celiac/Vegan husband for having delicious food that was like food he can’t eat anymore and my boys that aren’t vegan. hey Jenn! That’s amazing to hear. We convert a lot of people with our buffalo cauliflower. It’s a winner for sure. So glad everyone liked it 🙂 Thanks for the love! Got here via Julien and Jenna….these look delicious and so do the others…making many bookmarks! Same here! As soon as I saw J&J make them I HAD TO MAKE THEM! Do you have any of the nutritional values for this recipe (calories, protien, sodium,…..)? I can not wait to make these and share with my wife. Thanks for the great recipes. Unfortunately that’s not info we provide on our site or for our recipes at this time. I hope you’ll still enjoy them and know that it’s a much lighter alternative to eating greasy chicken! I’m making them now! I hope they come out great like the picture haha! COOL! Let us know or share it on social and tag us @hotforfood on twitter and insta! So I know this recipe is vegan but would it actually work with chicken? I honestly can’t say because I’ve never made it with real chicken. I don’t know if the batter would work the same, as this one is meant to get in all the cracks of the cauliflower florets. We have a cashew coconut crusted chik’n finger recipe on the site that would likely work with real chicken. How crisp does the cauliflower get? Also does this recipe actually taste like cauliflower or can you not even taste the cauliflower flavor? Tried making these last night! Very good but all the coating came off and made it look like a chip underneath each piece. Maybe I made the coating too thin or put too much on? Not sure. I’m not sure. It’s true that every oven is different and temps vary from gas to electric or how old or new the oven is. Parchment paper works to prevent sticking and the coating coming off. I made this last night. The cauliflower got soggy when we cooked it the first time. Also, when I was flipping them over in the first batter, the batter underneath pealed off and stuck to the parchment paper. Because of this, I didn’t cook for the remaining 25 min. The parchment paper was also burning and falling into the oven, so I probably would not do this recipe again. I don’t know what happened! We’ve had a couple people say it didn’t work for them but it’s because they didn’t follow cooking instructions. You have to wait for the oven to be hot. Perhaps your oven was too hot? I don’t really know, we get nothing but RAVE reviews on this recipe. What flour did you use? Came here through J&J’s kitchen! started looking through your youtube channel awesome recipes, love the ideas and style of your vids, you both have great personalities too. Very happy to subscribe to your channel and hoping to see lots more of your videos being uploaded!! Great work! thank so much! That’s so great. We were thrilled to see our recipe on J&J’s kitchen! Welcome to hot for food! I’m going to make these tonight. Has anyone tried freezing them? I’d love to make a big batch that I could just reheat for a quick meal. Also can you make this from frozen cauliflower? I’ve seen some people complain about soggy wings, and I wonder if it’s because they’re using frozen. I used parchment paper, and the batter came off anyway. The batter is essential for this recipe. Any suggestions? I’ve updated the recipe with some notes. Some people seem to have this issue, but baking times are guidelines for any recipe because it’s tough to say when everyone’s ovens are different. MOST feedback we get though is that everything worked out perfectly. Did you let the oven pre-heat? What flour did you use? GF flour will alter the baking time. They will stick if they are under baked and over baked so I can’t really tell you exactly what you did wrong. I’m making this tonight and just flipped them the first time and all the batter on the bottoms stuck despite putting them on parchment paper. I’m not sure what I did wrong, considering I followed it to a T. Oh, well. I’m sure they will taste fine in the end. 🙂 Thanks for the recipe! Did you use gluten free rice flour? That potentially alters the baking time. PLUS everyone’s oven is different do you just have to watch them a little. Your baking time might be a few minutes less or more. They would stick if they were not baked enough but also if they were burnt to the bottom. AND letting the oven pre-heat is a must. I have a question: if I can’t get a hold of Earth Balance buttery spread, will real butter or margarine work just as well? yes we use EB because it’s a good (the best) vegan butter. IT acts like butter. Margarine can be watery. But try it it should still be ok. Or of course real butter yes, but we’re vegan! we’ve used whole wheat as well! Totally fine. I honestly don’t know what is up with the sticking. They never stick for us? They are great right outta the fridge the next day…in case you make too much! I tried this recipe today and like a lot of the other commenters I had the issue of the batter getting stuck. They also aren’t crispy and that made me so disappointed 🙁 They taste OK but they didn’t turn out how I wanted. Next time I’ll probably use foil instead (thats what I usually use when baking) save some batter and when i flip them i can re-cover them with batter. I cut mine into bite size pieces but maybe they should be a tad smaller… I don’t really want to have to cook them for much longer because this is already a long cook time. ^_^ I’ll try again and let you know what worked. I dunno. I can only guess maybe your oven is different than ours. That is the only variable, unless people are using weird flours? Wow! I just made these and I must say that they are amazing! My mouth is still on fire as I type this. I will make this over and over again. My next recipe will be your buffalo cauliflower sandwich. Can’t wait. Thanks for sharing. I made these Thursday night and they were absolutely amazing! I did make a few minor tweaks to the recipe. I lowered the temperature of my oven to 400F (my oven is abnormally hot) and I made a maple and chipotle sauce instead of the buffalo (I’m a little baby when it comes to heat!) and mine did not stick to the parchment paper at all! Thanks for this recipe guys! Then YOU definitely know what you’re doing. I don’t know why they are sticking to the paper for other people BUT I keep telling everyone that every oven is different. It needs to be HOT but if some people’s ovens are hotter than others than yes you need to adjust and watch them so they don’t stick. haha anyway I appreciate you sharing your experience. Thank you! Just made these and they taste great! wish they were more crunchy though, and they did stick to the parchment paper.. But it doesnt bother me much. Next time I make them i will try to change some things up! I too came here from J&J’s kitchen. I saw a lot of contents about the batter sticking to the parchment paper, so I sprayed mine with a light coating of Pam beforehand. It worked relatively well. I think my issue was my Bayer was a little thinner than what was shown in the pictures. Also, they became a lot more soggy after I added the hot sauce coating. Again I’m attributing it to the fact the batter coating wasn’t right. It was super delicious though! I definitely plan to make these again. Also, I absolutely love the blog. Definitely subscribed on YouTube and will keep up here! I love finding new, delicious vegan recipes! So cool you saw the J&J epi! We loved that! And great that the wings were a hit 🙂 Thanks for checking us out! Amazing! So glad you loved the wings and the caramel apple tart. 2 of our most faves as well 🙂 Unfortunately we won’t be at London Veg Fest this year, but enjoy it! Thanks for checking us out and supporting! Is there anyway I could use an oil or another substitute for butter? Does it have to be non-dairy milk, or is that just the vegan option?? Just completed my bbq and salt & vinegar cauliflower wings with some pasta and plantains. 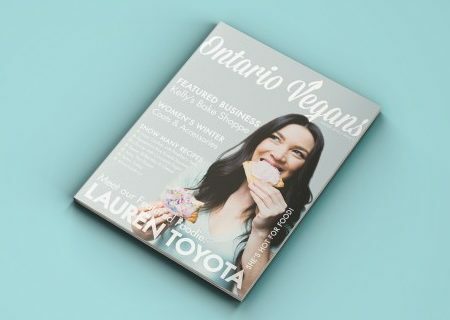 THANK YOU Lauren for making vegan eating fun and delish!!! ps. you gave me ranch dressing again! :o) oh how I use to love ranch and now I can enjoy it once again! Oh ya! Ranch for life… it makes everything better. Thank you so much! I’m doing this for supper tonight! The batter is already in the fridge i can’t wait to eat it ! I hope you loved them 🙂 Thank you! Tried these cauliflower wings out last night and they were pretty good. I’m neither vegan nor am I vegetarian, I just don’t not to eat a lot of meat. Don’t make these expecting them to taste like chicken, because DUH they are cauliflower. That being said I was pleasantly surprised. I reheated some in my toater oven tonight for supper and actually liked them a little bit more (maybe when I make them next time I need to let them get a little crispier). I would totally make these again and feel comfortable feeding them to some of my meat loving friends. awesome! They’re always a hit with meat lovers 🙂 It’s pretty incredible right. Thank you! Made this for the second time today. We subbed the all purpose flour with whole wheat flower and it turned out even better!! I became obsessed with finding this after seeing you eat it cold out of some foil on your youtube video about stuff you ate in a day. I don’t know why I can’t stop watching it… I’m not vegan or vegetarian, I don’t live in Canada, I don’t usually even watch these kinds of videos. Oh well… Keep up the good work, and thanks for the entertainment! do you have to use non dairy milk or can u use a skim or 2%? My child and I would like to thank you from the buttom of our hearts/stomachs, we just made this for the first time and we are amazed and enthralled. We are grateful to be vegetarian/vegan respectively. All hail hff! Lauren, I discovered your YouTube channel and this recipe a few weeks ago and have made it about 4-5 times already with great results. I followed your directions to a T and they have turned out perfectly. The Ranch dipping sauce is great too! They are new favorites for me. I have noticed that Frank’s is very high in sodium (one cup has about 8500 mg) and the wings can taste a little salty if you eat a lot of them (which I do because they’re so tasty!). Have you or anyone else tried other brands of hot sauce that are lower in sodium? Any recommendations? Frank’s seems to be the only sauce that isn’t super hot. The others are very concentrated hot pepper sauces right. You might want to do half and half with BBQ maybe? Absolutely delicious! Made these last night as a fun appetizer for Christmas Eve, and everybody loved them! People were telling me they loved them more than real hot wings and they couldn’t believe they were made from cauliflower when I told them! All the yumminess of a hotwing without the guilt. This recipe is a keeper! Just made these for christmas. Hands down the best "wings" I’ve ever had. Just made and ate them, delicious! Definitely making them again soon! Just made these for myself and my roommate, and she was blown away how much it resembled real hot wings! She was surprised that they were just vegetables! Thank you! I LOVE the wings. And the ranch recipe was spot on!…..for Hidden Valley Ranch. sigh Twas too much to hope for. These wings are incredible though! Edit: I SHOULD NOT HAVE DOUBTED YOU. I WAS WRONG. FORGIVE ME. Seriously though, that ranch…..mixed with other things….omigod….so. good. All recipes look very delicious! I don’t eat oil so will just subtract those ingredients. I don’t see a way to condense the recipe for printing– is that possible? Thank you! But I made them anyway and they were still really good… Althoug a little bit too spicy for me… I found that the cumin adds a cheesy flavor, for people missing the cheese! holy crap! these are so gooooood. My husband and I are enthusiastic carnivores (sorry not sorry) but we respect all types of cooking and lifestyles. I found Hot for Food under his youtube subscriptions and I must say your vegan creations are interesting, appetizing and look fantastic. Anyways, he has been begging me to make these but I was waiting until the price of cauliflower went down (ouch Toronto produce). Simply delicious! I made my own bbq sauce and these were meaty just like you said. If I closed my eyes and got an especially crunchy, cooked batter part I could’ve sworn I was eating a boneless wing. I cannot rave about these enough and have recommended them to everyone! thank you thank you! So happy you liked them. awesome! SO glad you liked them. Thanks for sharing! I wish I had franks red hot… I’m going to try Sriracha instead and see how it turns out! AMAZING! Glad you guys enjoyed them. Thanks! I wonder if there are different "qualities" of parchment paper…the first time I made these I used parchment paper instead of my silpat because the recipe is so adamant about it. And it was a disaster, they stuck so bad i had to scrap the whole batch, tried again and the same thing but this time I painstakingly peeled the paper off the cauliflower so I could still eat them. They were super delicious. So I tried them again using my silpat (because no way in hell was i trying parchment paper again) and they did not stick one bit. Ive since made them 3 times and they never stick and come out delicious. I was at a friends house and decided to make them for her but all she had was parchment paper…since I could make these in my sleep Ive made them so many times I decided to give it a go. Once again they stuck so bad that they were inedible. Ill stick with the silpat….oh and I have my husband hooked on the crab cakes. hey! Ya I think there probably are different qualities of parchment paper. ALSO silpat can always replace parchment. We just don’t have one… need to get one! Glad you like them and the crab cakes! Thanks! Okay this is for anyone who has had trouble with this recipe. I’ve made these three times now and each time i’ve tweaked a little something and they get better and better. #2. don’t let the batter from the wings run into each other on the baking sheet, or else when you try to flip the wings, it pull the batter off. In order to prevent this you have to do 2 things, dip fast and leave them enough space. The longer it takes you to batter the cauliflower the more time there is for the batter to drip off. I use smaller baking sheets that fit in my oven side by side. This allows me to get them in the oven faster so the batter starts baking and binds to the wings before it has a chance to run. #3. When you take the wings out to flip, if the batter is sticking to the parchment paper stop flipping and put them back in for 5 min. The batter isnt done cooking yet. Repeat this until the batter is cooked well and it will not stick to the paper. I have made these with the butter and without. There is a slight difference in the texture without the butter, but they are still delicious. I have also broiled them on low for a minute to crisp them up. Another one ticked of the "To Cook" list! They were fab. Even my cauliflower hating husband got stuck in while we were watching the rugby. You two are amazing. I have been waffling between a super unhealthy and lazy fast food diet and a vegetarian/vegan diet for awhile now but you have been game changers. This was the first of your recipes that I made that truly motivated me to stick with it and live a healthier lifestyle. I actually crave these after a night out versus regular friend chicken! Let me start off by saying I have affectionately named this recipe "Highschool Ranch". For almost 10 years I’ve been looking for the same ranch that was served in my highschool years. I FOUND IT!!! I want to sincerely thank you from the bottom of my heart.. Not only for your amazing recipes but for you as a person. I’ve watched many a YouTube video.. Especially " what I eat in a day – vegan" type of videos.. For ideas mostly. When I found your channel.. I became obsessed. You’re so real and down to earth. You don’t try to glamorize your food.. You make it and you eat it. Such a refreshing view on being vegan it’s amazing. Sorry for the long comment but I wanted to let you know how inspiring you are and to never stop!! 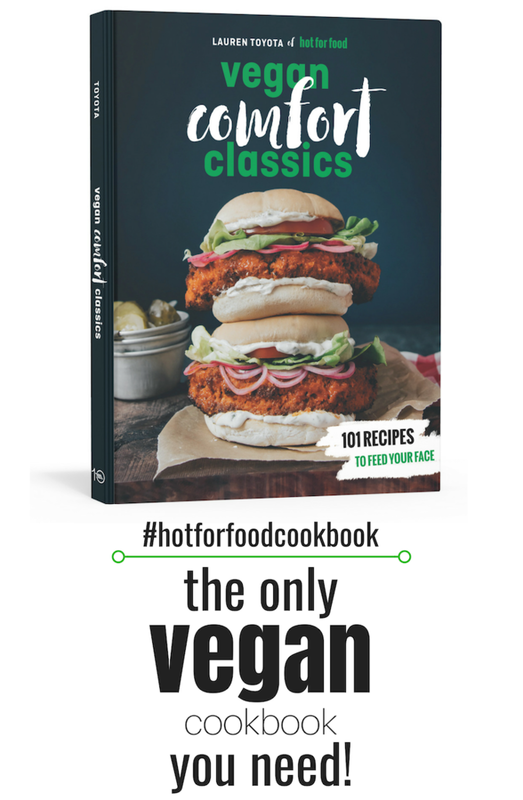 I’m currently vegetarian but your recipes and outlook are realllllly pushing me towards vegan. It’ll happen soon enough! Like you said in your video about going vegan.. There’s not one path in particular you have to take. Thank you again! 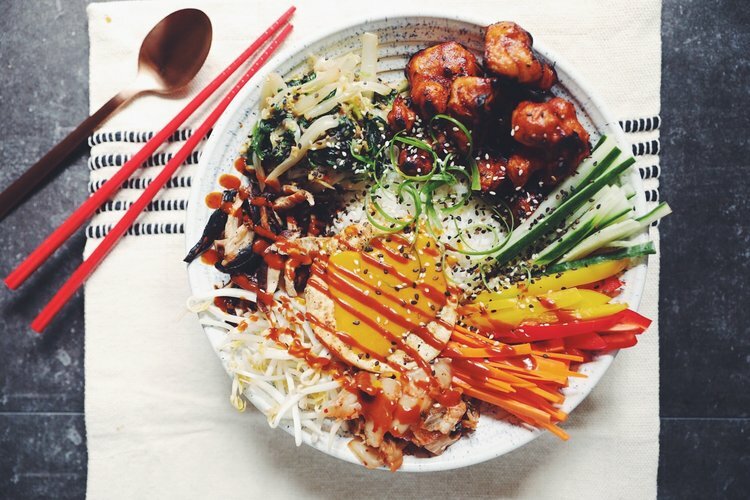 Can chipotle hot sauce be used in this recipe (it is the only thing remotely close to hot sauce that I have access to here in Serbia) or will the taste not be like "buffalo wings?" I made these f**kers last night! They were deeeeelish! That said, I work in a produce department of a store that sells only organic produce. So when you refer to a head of cauli, you are referring to a 12 ct, head of cauli which is approx, 2 lbs before being cut into florets! I used a 1 count which resulted in way too much batter and sauce. I saved it, no biggie, but you want approx a 2 to 2 1/2 lb cauli. what is gram flour?! We’ll have to look for that! Thanks for the suggestion! Graham is the flour used to make graham crackers! Actually, gram flour is chickpea flour! Julianna, I used my convection oven without turning down the temp and it made these little cauliflower glories even crispier!!! Don’t bake on lower temps, as the cauliflower starts to soften in a bad way. Lauren, am I right? I am not a fan of cauliflower, but when I watched the video, I knew I had to try them. I’m so glad that I did. They’re a keeper! I even shared the link several times with friends and they made it and loved it. Thanks for sharing!! How long does the ranch dressing last in the fridge? I’ve been looking for a vegan ranch replacement but I’m afraid in my house I’ll be the only one using it! Has anyone any experience keeping it for longer than a day? Later reply, but I’ve had mine in a mason jar in the fridge for about 3 days and it still tastes great! I’d say 5-7 days is probably a good life expectancy keeping the almond milk in mind. Made these today and holy balls I want everyone I know to try them! I did half hot sauce half bbq but didn’t make the ranch. I served ’em with a side of raw cucumbers and onions drenched in lemon juice as a refreshing bite between spicy awesome bites. Lol. I’ll be bringing these to the next party I attend. Thank you hotforfood! NICE! I love that you used the dips for the cauliflower wings. Very clever and definitely a good pairing 😀 Thank you so much! NICE! That’s what we love to hear 😀 thank you! Just try the cauliflower wings and the delicious ranch dip! So so so good ! This is a dream come true. Thanks for sharing this simple but wonderful recipe! It’s only a few months I did change my nutrition and such recipe do help a lot ! I have a food blog here in Switerland with an FB page in English and in French. I will be very happy if you can allow me to add your link with this incredible recipes on my blog and FB page? That way I can transalate them in French too? I wish you a wonderful day ! Mine don’t look nearly as pretty as yours but they are delicious! I didn’t have any vegan butter for the sauce, but it turned out well. I used 1 cup barbeque sauce and 1/4 cup hot sauce, the sauce was so good I ate all my fries dipped in them before my wings were even done. Thanks guys for the recipe! Could you cook these on a BBQ? Just made these and after the first cooking (before tossing them in sauce) they were super crispy! However, after cooking for 25 minutes more with the sauce they became soggy!! :( any suggestions? oven was at 450…maybe too much sauce? The same thing happened to me! Next time, I’m going to try 15 minutes pre-sauce, then check them post sauce periodically by stabbing with a fork. You can always add more time, so hopefully starting with a lesser time will work out. Definitely remember to tap off excess batter and sauce, as I found that can create a soggy wing too. I’ve made these several times now and love them! I’m always trying out new marinade combinations – my favorite to date is banana ketchup (a slightly spicy sauce from the Philippines), tomato paste and A LOT of butter 🙂 Due to laziness, I just sprinkle the marinade on the wings before and after I flip them, this leads to a way more uneven coating and a real mess on your parchment paper but it still tastes fine! I am making these tonight…for the third time 🙂 Your blog was discovered by my 15 year old vegan daughter (love your videos, BTW) and we love trying your recipes. I made these tonight for my non vegan husband! He thinks they are better than chicken! Made these tonight but I only had baking paper on hand so you know what happened. They were so delicious anyway but I’m gonna invest in some silicon baking mats especially so I can remake these as they should be, in beautiful little untattered pieces haha! My batter came out a little thin should I just use more flour next time? Wow. My first reaction was that this taste like chicken! The texture is very meaty and tender. Just made these tonight. Yum! I wouldn’t describe them as being meaty but still delicious. I was afraid they wouldn’t crisp up but they did. The Buffalo sauce is quite salty so I’ll omit the salt in the batter next time. These are AMAZING. So inspired by your food (& you as a person). I used silk almond and coconut milk mixture, and cooking spray on an anti stick tin. With caution on flipping the breading did not crumble off, even though I was worried it would without parchment paper. If you aren’t a fan of cumin I would scale back the amount the recipe calls for or leave it out entirely. I didn’t really like the cumin flavor but I could see its purpose it gives the bites a more meaty flavor profile. I also used smoked paprika instead of regular and it’s really good on them. So full of flavor but I think I’ll leave out the cumin next time though. Thanks for the recipe! These are delicious! Although I didn’t get them to crisp up, the flavoring was on point: garlicky, smoky, sweet, and spicy perfection. Next time, I might add more flour (I used a gluten-free blend) to the batter or perhaps less sauce (1/2 cup instead a full cup) OR the panko breading from the recent LA vlog, but I’m certainly glad I gave it a try! Thanks for the recipe! Made a batch of ketchup wings (ie ketchup instead of hot sauce) to go with the kids’ Mac tonight. Pretty great! Made these several times and. . . WE ARE IN LOVE. My 17 year old eats less and is more satisfied. Love the ‘chicken wings’..
Can I use coconut oil instead of butter? Will it make a huge difference in the taste if I do? Does the salt have to be sea salt? I was wondering if we can deep fry them instead of baking them and if we can, at which point will I start frying them? I’m a little late to the party, but these are a new favorite. I’ll be making these a lot in the next few weeks. If anyone out there likes jerk, try adding a few jerk spices to the batter and tossing them in Grace’s or PC jerk sauce. I stumbled on your blog when I saw your video of the buffalo cauliflower sandwich on facebook. Since I am currently gluten-free I made these buffalo cauliflower bites using brown rice flour and they are fantastic! Great recipe. What is the shelf life of your vegan ranch recipe?? I read somewhere it should be used within a week, but if that is incorrect I do not want to waste good ranch! you could just toss in lemon juice and pepper or add the lemon juice to the batter! Lauren, loved this recipe, although I would definitely reconsider using the Franks next time because of the sodium content in it. Felt like it overpowered everything else. The base was superb though alongside the homemade ranch dip! Just want to say that these are now a go-to recipe for me! My husband and I loooove them! I love making them with bbq sauce–I cant stop eating them!! This is my second time making buffalo cauliflower and I LOVED this recipe! The first time I made it I didn’t bread it and it come out very good but this was AMAZING! I only have vanilla soy milk in my house so I used water and I don’t have vegan butter so I just used vegagable oil and it still came out very good! They did come out meaty an my non-vegan family loved them. The only issue I had was that the took longer than expected to get crispy and I adjusted the temperature to 470 and they turned out great! Theses are definitely and make again but maybe with and different sauce because they were VERY spicy and could probably benifit from using a lower sodium salt than Frank’s Red Hot. Overall, I loved these and am looking forward to making more of your recipes especially because I have no idea what to do with tofu! Do you have the recipe on the Buffalo caulifower that are fried in oil? I saw in her cauliflower burger/sandwich recipe she said that she puts the butter in because when making traditional chicken wings people do that, but she said that it would probably be fine just leaving it out. tried this tonight, was easy to make and delicious! texture is perfect! I am meal prepping and decided to cook these for tomorrow’s lunch. Should I freeze them or put them in the fridge. I worry that I won’t get the same crispy outcome as I did tonight. Also, I used Almond Flour with Almond milk (did not put water in it) and baked it at 400 degrees. It was AMAZING! Oh my god. I tried these today. I used oil instead of vegan butter and a mix of chili paste and a kind of german barbecue sauce called "zigeuner sauce" because i couldn’t find hot sauce without MSG . They are sooo delicious and easy, i am in love with this recipe! I used parchment paper and they still stuck. what did I do wrong? Tried these out today and they were so yummy! I’m a meat eater and was in need of a chicken wing fix but didn’t want to go through the trouble of buying and preparing actual chicken wings. Lucky for me I had some cauliflower and non vegan butter in my fridge. While these don’t taste like chicken, they do satisfy the part of me that wanted something battered and spicy. A fabulous recipe that I will keep on hand for when I have people over for a movie night! Love love love it! Can this batter be used to bread tofu? And do you think I could keep any leftover batter in the fridge to use for later? We just tried round 2 on the buffalo cauliflower 🙂 Our oven isn’t great, so following the recipe perfectly the first time lead to wings that stuck to the parchment. We increased the temp, and it was perfect! Also, that ranch sauce is SO GOOD!!!! Holy Toledo! I’m in LOVE! Third time making these delish cauliflower wings, and me and my meat eating boyfriend love them! They are so amazing. The recipe is easy to follow and the prep work is not too bad. My batch is in the oven right now, can’t wait! These came out with too many spices for my liking and not at all crispy. I followed the recipe exactly too. I will keep playing with the recipe and maybe adjusting the batter and removing some spices. Everyone hated them though. Yeah! All of her recipes are so spicy! You really need to adjust to taste 🙂 I left out the cumin and paprika because I have a deep hatred for these spices and added some of my favourite spices instead! Your wings may not be crispy because you might have added the sauce too soon before serving? I add the sauce right before serving so the sauce doesn’t have the time to make the batter soggy… hope this can help! I tried to make these once from another recipe and was super disappointed so it’s taken a while for me to be bothered to make them again. I just finished devouring half a batch of these made with Frank’s hot sauce and am so glad I took the time to try this recipe. Can’t wait to share this with others! I make these all the time. My non vegan friends & family request them all them time. I like to dip them in Panko breadcrumbs after the batter. Extra crispy and delicious! These are delicious! I’ve made them before and they’re so good I had to make them again 🙂 Yum yum! Would dry herbs work ok for the ranch? I used dry and the dip was still delicious! These were SO good! I was so proud that my husband (whose favourite food is chicken wings) called these "a good substitute". Seriously?! That is high praise. Loved the ranch sauce as well. I did sub in dried dill (1 tsp) and green onion for the chives and it still tasted great. Would it make a huge difference if I used sweetened almond milk instead of nonsweetened? AMAZING — so good. I used crushed red pepper instead of black pepper because I wanted them spicier! Love love love these!!!! Do you have any alternatives to cauliflower? After I eat the wings I have intense bloating and stomach discomfort. It does not agree with my system very well. PSA – UK people, you can get Frank’s Hotsauce in Sainsbury’s and Morrison’s <3 love these so much! These are, legit, the best wings I’ve ever had. Better than chicken, better than any other cauliflower wings, simply the best. These are the kinds of recipes that make vegan so damn easy. Making these as we speak! Doing your BBQ sauce on them. Can’t wait!!! Really simple and so good, even as a snack the day after! You have to make the ranch dip it’s delicious! Love these!! Make them at every get together and everyone loves them!! In fact, I am making 4 trays right now!!! This looks delicious! Can’t wait to make it. You killed it like always Lauren! This is mine and my families favorite cauliflower wings recipe! I’ve made these at least a half dozen times and they always come out soggy, any ideas? How about using an air fryer? Omg just made these and they were incredible!!! I made the buffalo wings and pigged out on them by myself<3 The flavor was to die for. I even ate a few before putting on the hot sauce, when they only had the batter after being baked, and the batter had a great flavor. I kinda wish they were a bit crispier on the outside though. Any suggestions on how to go about doing that? i tried making this twice now and followed the recipe exactly and both times they have not turned out even edible. I would say do not waste your time. I love these. I made them using Bob’s red mill gluten-free all purpose (which has a chickpea flour base) and it worked great. I never comment on recipes but these are amazing and I’m not even vegan. Mine are in oven in Australia we don’t eat buffalo wings (or I have never heard of them) so I’m really excited to try them out with hubby tonight but I don’t have ranch dressing ingredients but have a vegan colesaw dressing so I might try that. OMG SO GOOD! Easy, too. Thank you for this! Yummmm. This was a perfect Christmas eve dinner. I had wanted to make these for thanksgiving but couldn’t find cauliflower. (The joys of living alone, i do what i want and throw tradition to the wind). I made half buffalo and half bbq. The outside turned out crispy and sticky with the sauce, perfect. The inside was a bit mushy but not in a bad way. So good. I would love to make these for a super bowl (feast of food) party! Do you think it would work to do the first bake, then bring to the party, toss in sauce and do the second bake there? It would be about 20 or so minutes between first and second bake. Okay, just made these and followed the directions exactly! They were delicious! One thing I want to improve is that they were on the mushy side. I could tell they were too mushy after the 2nd 25 minutes so I turned the broiler on for a minute but I was afraid they were going to burn up so I took them out. They were fine to eat by myself but I wouldn’t serve these to company until I can figure this out. Next time, I’m going to change the parchment paper in between bakes. Maybe that’s why they stayed on the mushy side? If after doing that they still seem mushy I might cook them in a dry sauce pan for a few minutes or bake them longer in the oven? I just ordered an air fryer and am wondering if I can try cooking them in that? At any rate, I’m 90% there just need to get them crispier. They turn out 1000% times better in the air fryer and take half the time. Just stick it in at the highest temp for 10-15 minutes, then do the sauce layer, and another 10 minutes or however as crunchy as you want. Made these twice now for my non-vegan fam and they’re obsessed! They turned out perfect each time. I have made these 3 times now and every time they come out on the mushy side. I followed the recipe and instructions exactly! Help? Made these tonight (for the Super Bowl) and they were delicious. My whole family really enjoyed them. Even my 6 yr old loved them (and thought it was chicken). 🙂 I did half buffalo, quarter spicy bbq and quarter Thai sweet chili.